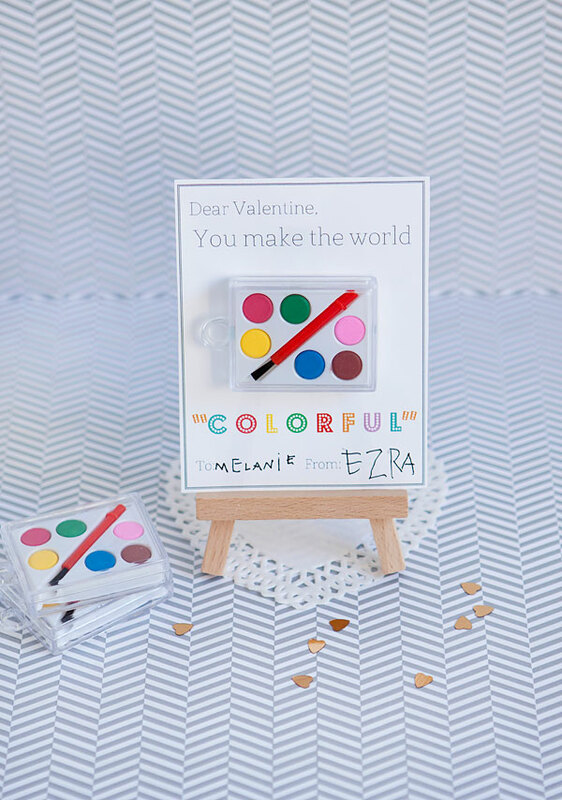 My cute little Ezra was worried that his little lady friends in kindergarten wouldn’t like the army valentines, so we came up with some “colorful” valentines for them! I love to give out non-candy class Valentine’s, because one, they get so much candy, and two there are so many kids with food allergies these days, it is nice to give out an allergy free class valentine. 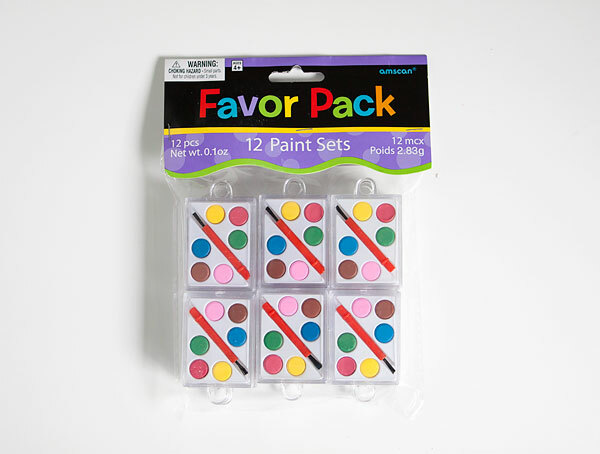 You can find these darling mini-watercolor sets on Amazon (direct link, Affiliate). They were perfect! 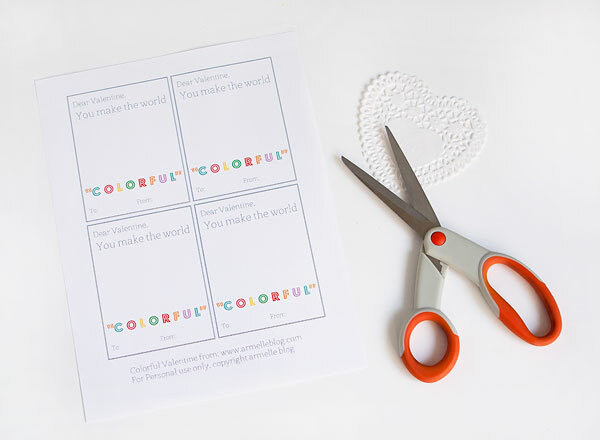 All you have to do is download the free “colorful” valentine printable here! After you print them onto thick white cardstock paper, cut them out and gather your paints, and some glue dots to secure them to the card. Have your little Valentine fill out the to, and from, and you are all set! These would also be darling with some crayons taped in the middle with washi tape like Danyelle did here. 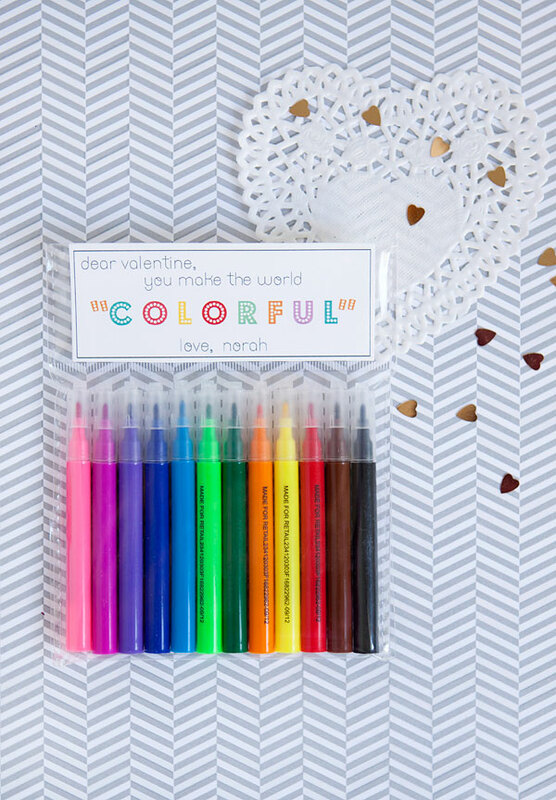 I also put together these “colorful” valentine markers for my daughter Norah’s pre-school class. I found these darling markers in the dollar spot section at my local target, and I made a print out that fit right into the packaging! 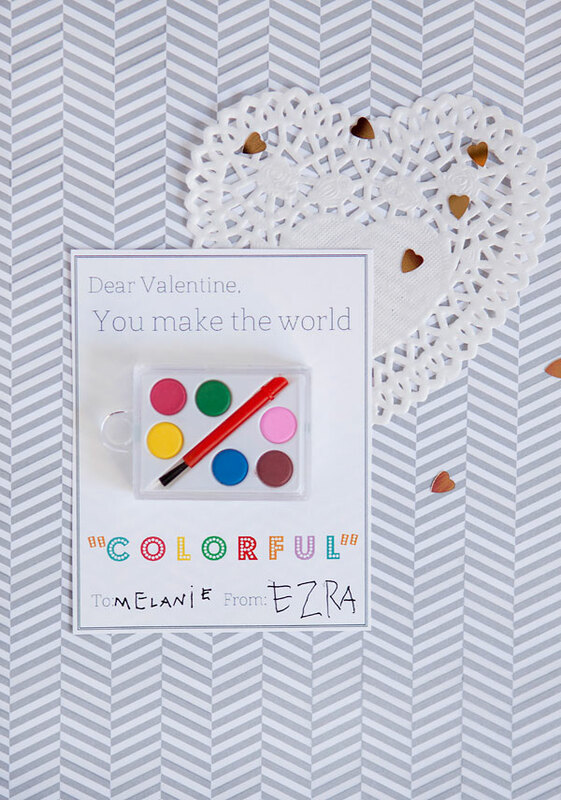 If you would like to download this Colorful Valentine printable, go ahead and click here! 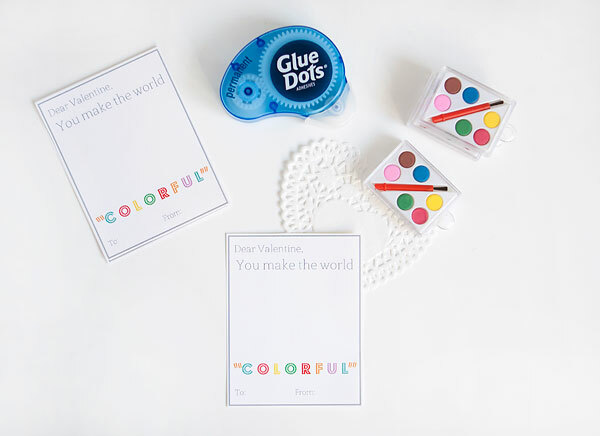 They would also be darling with crayons in a little bag, and you can staple the printable on! I hope you can use these for your special Valentines coming up! Simply adorable. I love how clean and crisp your graphics are and the ease. too cute. How do I subscribe to your blog by email? These are both such cute ideas!